A piece of my mind. : Happy Birthday Big Bird and Family! Happy Birthday Big Bird and Family! Congratulations! 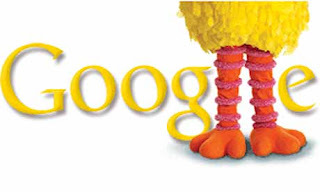 Today is Sesame Street's 40th anniversary and Google amongst others are celebrating it in style. See a wonderful array of Google animations today that will remind you why the show has lasted as long as it has.